The mod_cfml Tomcat Valve is the part of the mod_cfml suite that takes the information passed to it from the Web Server and automatically creates a Tomcat host or host alias with it. The following steps cover what's required to install the mod_cfml Tomcat Valve on to a Tomcat instance on Windows. If you haven't already, go ahead and download the mod_cfml Tomcat Valve. 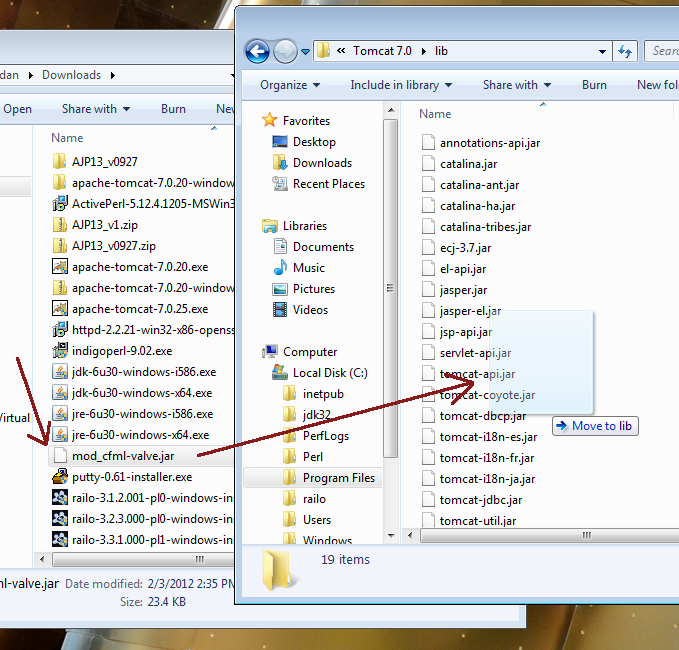 Once you have it downloaded, move the JAR file to the [Tomcat Home]/lib/ directory. The Tomcat "lib" directory gets loaded whenever Tomcat starts, so having the jar file in the lib directory means that the mod_cfml libraries will be loaded every time Tomcat starts. I just hit "Continue" and the file was copied over. Different versions may require different actions. 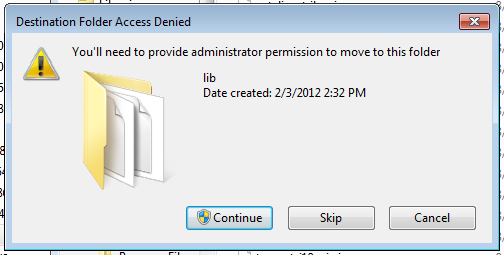 For example, you may have to enter in the administrator password on Win Server 2008 systems. Notice how there are a lot of comments and other potentially confusing junk in there. Don't let that confuse you! 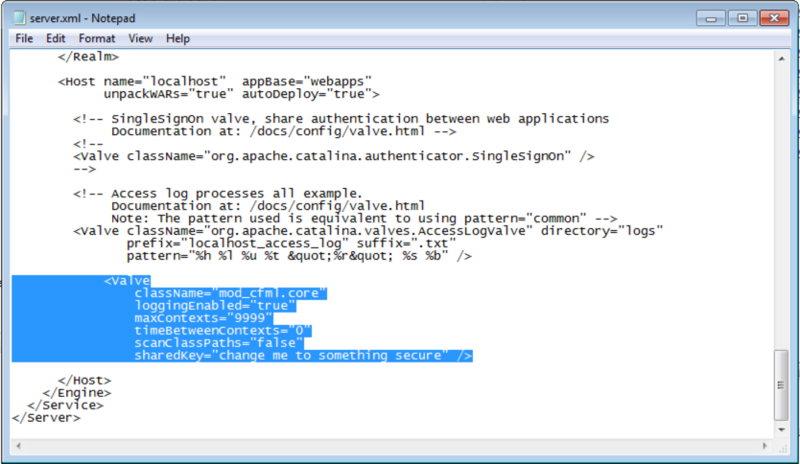 Make sure the Valve line in is between the localhost opening <Host> and closing </Host> tags! 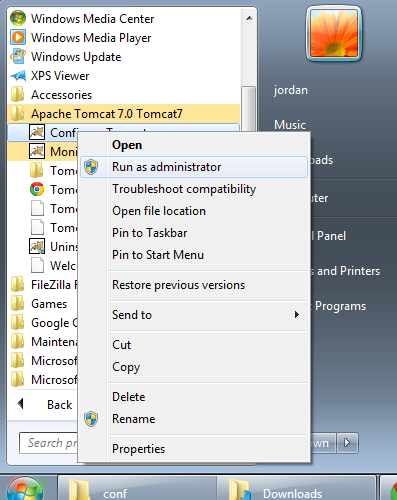 -> Start -> All Programs -> Apache Tomcat 7.0 Tomcat7 -> Configure Tomcat -> Right-Click and select "Run as Administrator"
Once you're restarted Tomcat, you should be all set!